Not only delicious when sipped, tea can be a very healthy drink. Various types of tea formulated and a lot of people love it, such as white tea vs green tea. Both are believed to be rich in benefits. Both types of tea are from Camellia Sinensis plant. However both are processed in different ways. The process of picking and fermenting the tea leaves will affect the aroma, taste and usefulness for health. Here’s a further explanation of both. White tea originates from China from the Camellia Sinensis plant. Its buds and leaves are allowed to wither in the sun during the plants growth. They are harvested prematurely and the delicate buds and leaves are processed to prevent oxidation. It preserves the distinct flavor of this aromatic tea. Camellia Sinensis plant is abundant with what is called polyphenols, a phytonutrient which is responsible for the tea’s health benefits. White tea has a substance known as Catechins, a group of antioxidants that have been shown to reduce cholesterol, decrease blood pressure, repair vein tissue, and improve overall cardiovascular function. Numerous studies have shown that regular drinkers of white tea had greater bone density than non drinkers of white tea. If you suffer from arthritis or osteoporosis, better grab yourself some white tea and have a couple of cups a day. 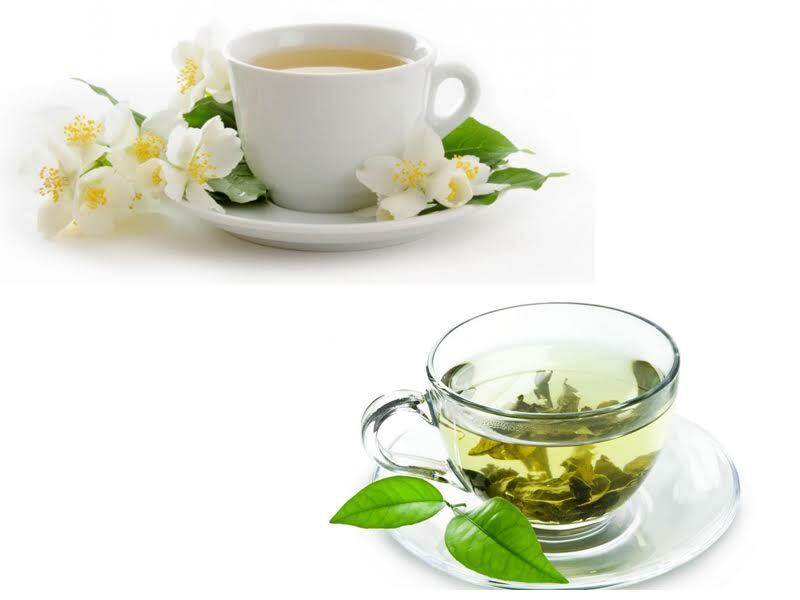 White tea also has small amounts of fluoride which help to keep the teeth and gums healthy. Green tea originated in China and it has expanded considerably all throughout Asia, with a penetration into the West in recent years, too. Green tea has become so well known in the West that even popular franchises like Starbucks offer Frappuccinos that play off of the general flavor of green tea. The tea itself is probably popular due to the many health benefits it has, both purported and real, and which have been the subject of many research studies. Studies have established that green tea intake can reduce your risk of heart disease as well as have benefits in the fight against both Parkinson’s disease and Alzheimer’s disease. For women, research has also shown a link between green tea drinking and a lower incidence of breast cancer. Green tea also an extremely healthy addition to the diet. The reason more people recommend green tea over white is that it has been studied extensively; it’s more common plus it’s easier and cheaper to buy. White tea and green tea may also protect you from some diseases, polyphenols in the tea protect against prostate cancer and that their antioxidants can reverse damage caused by free radicals in the body. Polyphenols may also prevent blood clotting and lower cholesterol. But overall, white tea is like the king of teas with all the health benefits in it.